Sheila Garrett | The Life Associates, Inc. 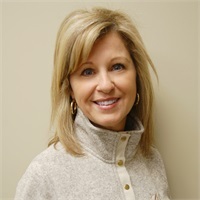 Since joining The Life Associates in 1991, Sheila has served as Deborah's personal assistant and responsible for new business processing. Sheila is a licensed agent and also helps clients on health and life products. She has worked in the insurance industry a total of 20 years, in addition to several years in banking. Sheila is a Marshall County native who resides in Reidland with her husband, Bob. She has two adult children.